We have been making lots of 1950's vintage inspired pretty little flower hair clips in the shop lately. 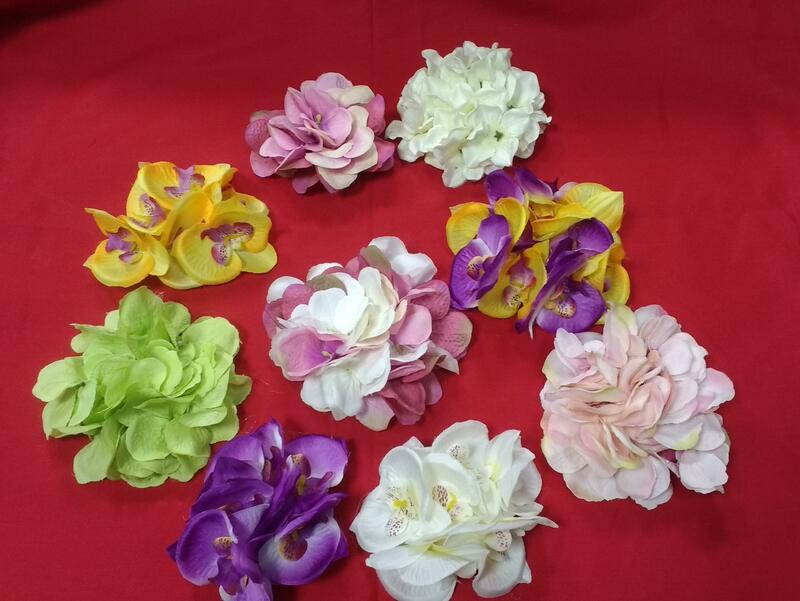 They are colourful fabric flowers on a felt base attached to a crocodile clip. 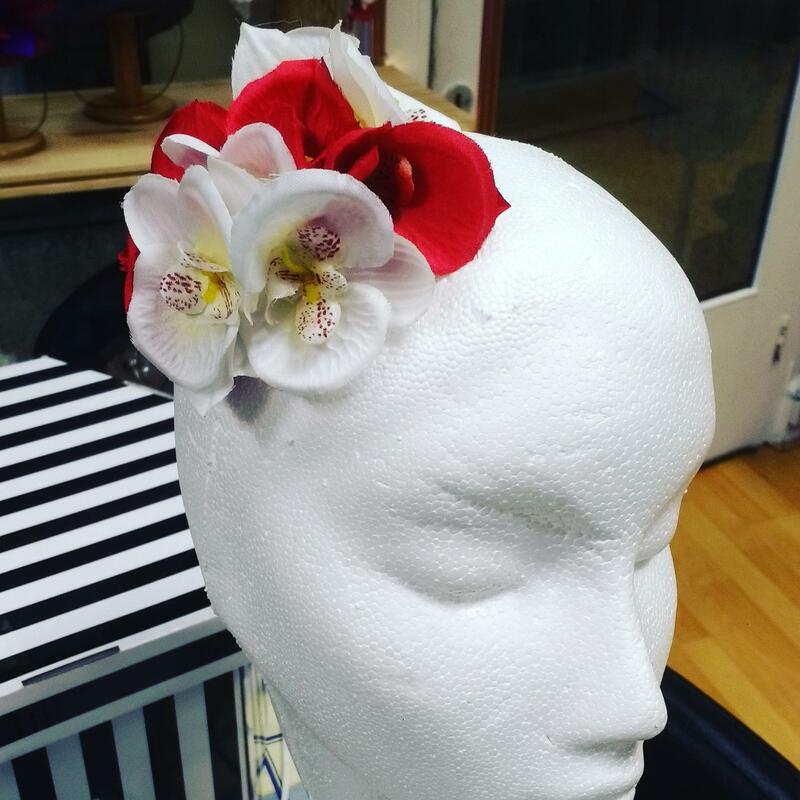 These cute affordable flower accessories would look great as part of a pin-up vintage outfit, or will just bring a pop of colour to your look. They will be available on the website as soon as we have some decent pictures of them! In the meantime you can find them in our shop, 26 Harris Arcade, Reading, Berkshire, along with loads more styles not available on the website yet.